Major Taylor's extraordinary story of triumph over adversity is near and dear to my heart. In order to reach the pinnacle of their chosen sport, all professional athletes have to endure countless setbacks and unforeseen hardships. It is in fact their singular capacity to endure such hardships that often separates them from their competitors. And it is when they reach their lowest ebb, thoughts of giving up racing in their heads, that they inevitably seek inspiration from those pioneering souls that suffered and endured before them. For me, that nadir presented itself while hunting with relatives shortly after becoming the only American to win the Tour de France. It was the spring of 1987; I was just twenty six, a two-time World Champion, seemingly on my way to a string of consecutive Tour wins. It was as if I was on top of the world. But while camouflaging behind spring foliage near the foothills of the Sierra Nevada’s that spring morning, scouring the bushy landscape for turkeys, the world as I knew it twisted upside down. There was the startling sound of shotgun fire from behind me, the sulfurous odor of spent shells, the sight of scattering birds, and the piercing pain of sixty pellets lodging in my heart lining, liver, back, arms and legs. I slipped into a surreal state of shock, largely detached from the world around me. As if from out of nowhere, the twirling blades of a helicopter soon swooped down from the sky. Within minutes, I lay recumbent in a hospital bed, a few breaths away from bleeding to death. Instead of looking forward to the July day when I could defend my yellow jersey, I spent the next two years hobbling in and out of hospitals, fretting over my physical and mental health. I was concerned about my contract and my ability to pursue my life's passion. I convalesced, searching for answers and inspiration. Eighty-three years earlier, a similar cloud hung over Taylor's seven-bedroom home in Worcester Massachusetts. In 1904, during a match race in front of yet another packed house at a bike track in Australia, Taylor was knocked unconscious by the wheels of an envious rival. He spent the next two years away from the sport he loved. He slid into a state of depression, struggling to overcome nearly a decade of racial abuse, both physical and emotional. Though we captivated the racing world with our attempted comebacks, both of us were left with divergent scars. I still have numerous lead pellets embedded in my heart lining, arms and legs, acting as a constant reminder of how precious life is and how close I was to an early, shocking death. Taylor's racial scars, like the sins of our nation’s past, could never be removed. His entire life story, deftly recited in all its drama by authors Conrad Kerber and Terry Kerber, is the stuff of legends, especially his courageous fight to become sprint champion of America, world champion, and his highly-publicized match race against French Triple-Crown winner Edmond Jaquelin. But it was his comeback that has inspired me the most over the years, as well as the honest and ethical way he lived his life and career. There are so many lessons in the pages of this epic story, but perhaps none are nobler than Taylor’s transcendent ability to forgive those who tormented him on and off bike tracks. That is why I was honored to speak at the unveiling of the Major Taylor statue at the Worcester Public Library, to stand in the very city that sheltered him from the racial storms a century before. I am equally honored to write the Foreword to this engrossing book, written by two gifted writers and passionate cycling fans that just happen to live near my suburban twin cities home. As the sport of bike racing and our nation attempt to transition to a new and refreshing era of transparency, we would all be well-served to seek wisdom and guidance from the lessons left behind by this remarkable sportsman. 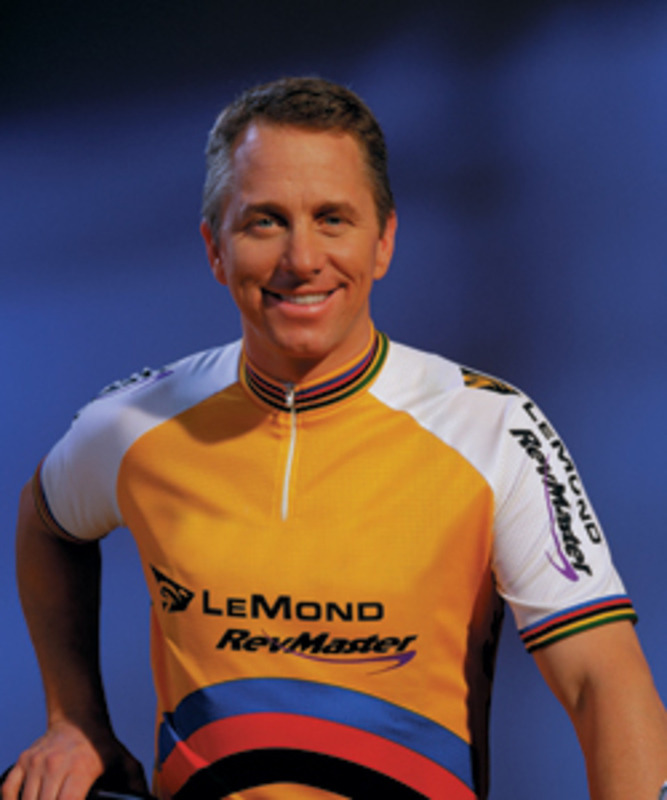 Gregory James "Greg" LeMond (born June 26, 1961) is a former professional road racing cyclist, entrepreneur, and anti-doping advocate. He was World Champion in 1983 and 1989, and is a three-time winner of the Tour de France. LeMond was born in Lakewood, California, and raised in ranch country on the eastern slopes of the Sierra Nevada mountain range, near Carson City, NV. He is married and has three children with his wife Kathy, with whom he supports a variety of charitable causes and organizations.